The unique design will make you feel like you're in a Moroccan souk, a renaissance faire, or some wild Arabian tale spun by Scheherazade! Created by the famed Laise Adzer and still crafted in the same textile house in the ancient city of Fez that produced her treasured Moroccan line. 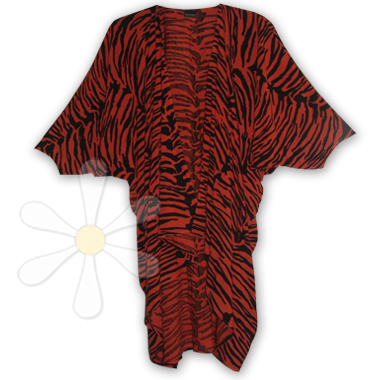 And this one is in our very special animal pattern, over-dyed in cedar -- a treasure!